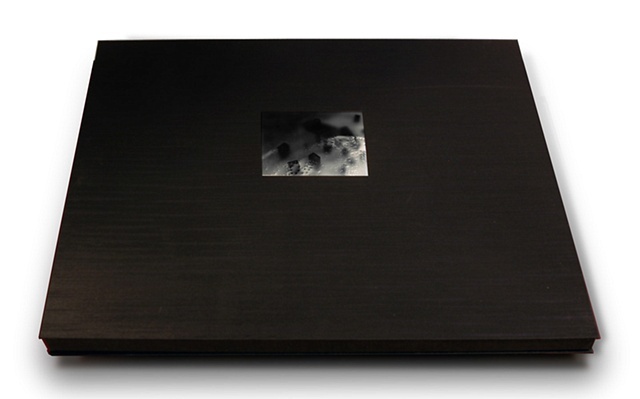 This portfolio case is in an edition of 5. The portfolio case is a handmade clamshell design covered in Japanese Black Silk and inlaid with English Matte Bookbinders cloth. The portfolio comes with a complete suite of photopolymer gravure prints (16 images) plus a title page and colophon page. Included in the portfolio is interleafing sheets made of honen japanese rice paper with the following prints title printed on the surface.